Batch of 10x DML-1200 in single flight case. Price is for single unit, 8x spare fixtures can be included for free in a purchase of the full batch. The DML-1200 is the first moving digital luminaire which can truly be used as both a super bright, moving light source and a high quality video projector. In light mode, the DML-1200 produces a perfectly circular light beam with a light output equivalent to that of a 1200W hard edged moving light – 12.000 field lumens and the brightest digital light on the market today. In video mode, the DML-1200 features a fully sealed DLP engine which delivers full color DLP quality video with SXGA+ (1400 x 1050 pixel) resolution. With a light output of 10,000 center lumens, the DML-1200 is the brightest digital light on the market today. An internal optical dimming mechanism ensures smooth, accurate intensity control from 0 to 100% ensuring that that your fade to black is a true black, not video black (grey). Being digital, lighting designers are no longer limited to static, pre-selected patterns and colors. Any image, static or animated can be created and projected. 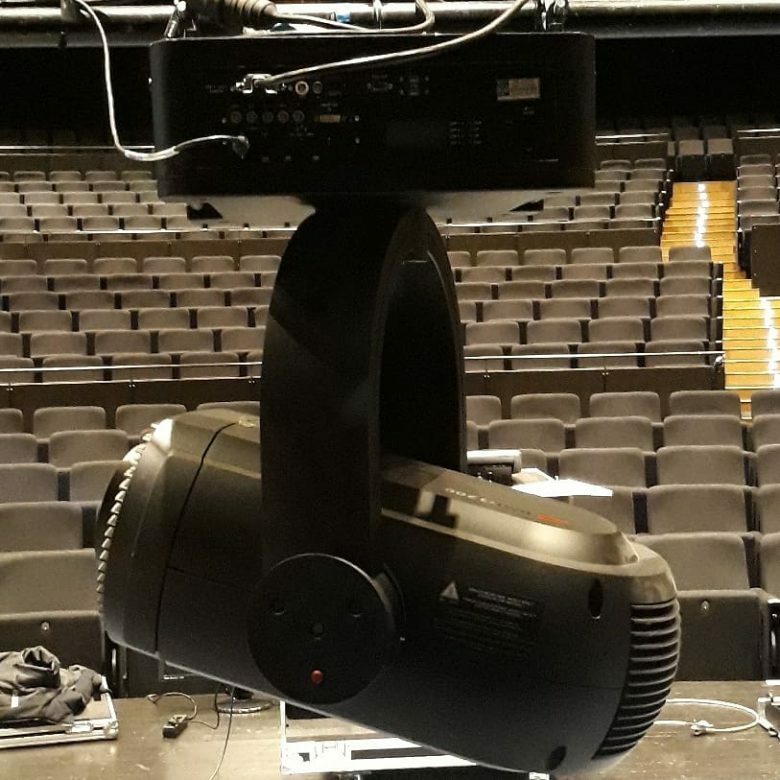 All images are generated by the onboard media player, controlled by DMX512 or artnet protocol, from the lighting console. 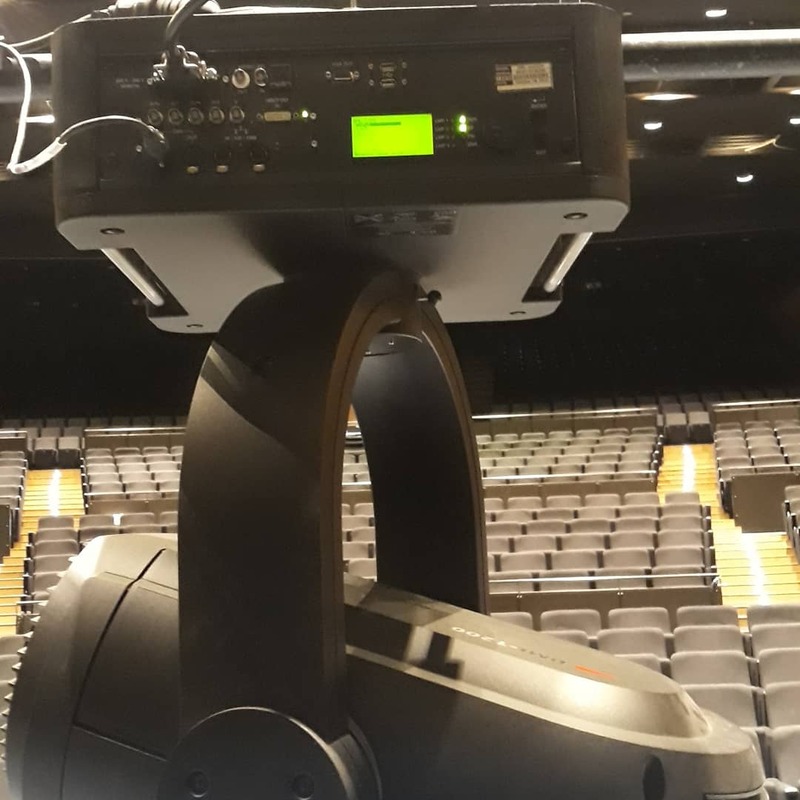 With its brightness, unlimited image selection and the ability to seamlessly switch between video projection and light mode, cue by cue, the DML-1200 provides designers pure creativity at their fingertips delivering a truly unique show for every event, client and purpose. 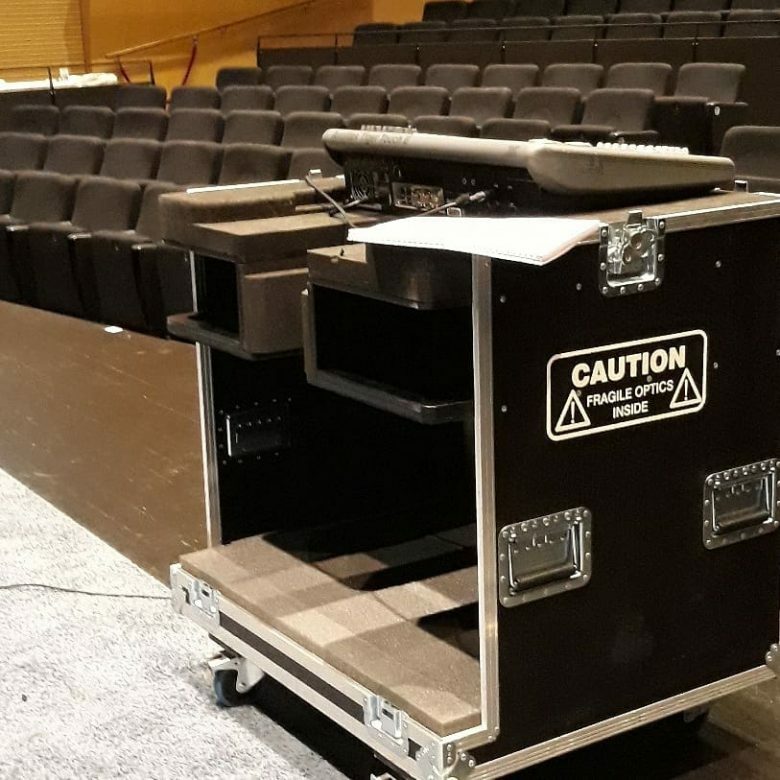 The DML-1200 is suitable for both fixed and professional rental & staging applications.